These four-legged mowers keep Sonoma’s grounds properly trimmed. After night falls on Infineon Raceway and the cars are parked in their garages, a different fleet takes to the track. Thousands of sheep cover the 1,600 acres of greenery at the facility to maintain its grasses and fire lanes. 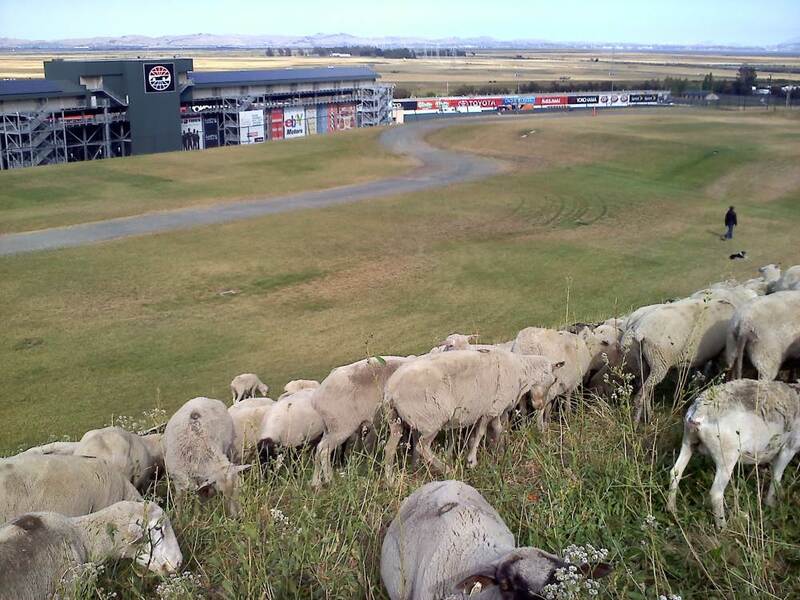 The flock, which permanently resides at the track, ranges in number from around 650 in the winter to about 4,000 when the grass starts growing rapidly in the spring. A 500-head unit grazes about 10 acres a day. 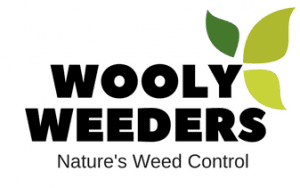 “The sheep are constantly working on eating weeds or plucking leaves or clearing parking lots,” says Don Watson, owner and head shepherd of Wooly Weeders, the Colorado-based company that has tended Infineon’s land since 2008. 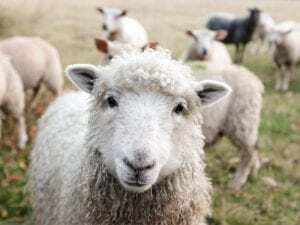 In addition to the shepherds who watch over them, the sheep are accompanied by two types of dogs (up to 20 at any one time): border collies to move the flock and Great Pyrenees to ward of predators like coyotes, bears, and mountain lions. It’s perhaps fitting that the 18th-century Spaniards who settled in nearby San Francisco called the area Yerba Buena or good herb. the ryegrass and bur clover on which the sheep graze can sustain them completely during peak season. “Because of the way the rains come and the temperature, it is a good a grazing areas as anywhere I’ve been in the world,” Watson says. Wooly Weeders and Napa Valley Lamb are the endeavors of Don & Carolyn Watson. We are a family business committed to humane practices and protecting our environment. Our herds of sheep and lambs are watched over with the skill & spirit of the ancient shepherds. We are at home with the great outdoors in every regard.